Driving While License Suspended (DWLS) in Florida? Here’s help from Florida Lawyer Albert Quirantes, of the Ticket Law Center Law Firm, for those charged with driving on a suspended driver’s license, revoked license, cancelled license or expired license. You may have been pulled over and had NO IDEA you were driving on a suspended license! Your day was shot because you may never have received a notification of suspension if you moved, or if the suspension occurred due to and out state incident sent to the Florida Department of Motor Vehicles DHSMV. Maybe you did not understand the terms or duration of a license suspension, or may never have had one at all. But it may have happened to you, and suddenly you are facing a criminal charge. So what do you do next? Fight the charges! You are presumed INNOCENT UNTIL PROVEN GUILTY, and you will almost always come out ahead if you fight this criminal charge with a competent and knowledgeable defense attorney, like Albert Quirantes, of the Ticket Law Center. Quirantes has been helping drivers since 1988. That’s OVER 25 years. You do not want to get stuck with a permanent criminal record for a minor traffic violation or a paperwork mistake, and you do not deserve one. FIRST: Do not plead guilty, and do not make any statements that you were aware of the suspension to the police, court officers, or anyone. Remain silent! SECOND: The quicker you meet with a lawyer, the more time you are giving your lawyer to fight for your license and fight for a dismissal. THIRD: Get a FREE LEGAL CONSULTATION by calling Attorney Albert Quirantes, to find out what you can do to protect your freedom to drive and keep your record clean. 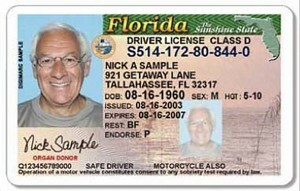 Can I Beat My FL Suspended License Charge? IT’S DEFINITELY POSSIBLE. If you did not know your license was suspended, you are not guilty of a criminal charge. The State should have charged you with a civil traffic citation, and since they did not, and the civil citation is NOT a lesser included offense to the criminal charge, you must be found NOT GUILTY. Criminal Defense & Ticketlawyer Albert Quirantes can help you make your case and we can possibly convince the prosecutor to drop the charges against you if we obtain compliance before trial at a surprisingly reasonable legal fee. For a first offense of knowingly driving under suspension in Florida, you face conviction of a second degree misdemeanor, up to 60 days in jail, a $500 fine plus court costs, three (3) points on your record and a STRIKE towards a HABITUAL TRAFFIC OFFENDER CLASSIFICATION, even if adjudication is withheld. Three strikes within five (5) years will trigger an automatic five (5) year driver’s license revocation, and thereafter, you will be subject to arrest for a Felony if you continue driving. A second offense driving on a suspended license charge is a first degree misdemeanor, with up to 1 year and $1000 fine plus costs in addition to the above penalties. A third or subsequent offense driving on a suspended license charge is a third degree felony, which brings the maximum penalty up to 5 years in prison and $5000 in fines and a five year license revocation, if three convictions or withheld adjudications are within five years of each other. To convict you, the state attorney needs to prove that you had notice of the suspension. As evidence, they are likely to try to do this by way of statements that you’ve made, proof that you received the notification, or a prior conviction is also sufficient proof that you were aware that your driver’s license was under suspension. Attorney Albert Quirantes and his team of traffic and criminal defense attorneys at the Ticket Law Center, can attempt to have this evidence excluded if it was obtained in violation of your rights. Call Ticket Law Center Attorney Albert Quirantes NOW, at: 305-644-1800 for a FREE, no obligation consultation. Let’s try to get you back on the road and avoid a criminal record.